The Bed and Biscuit animal boardinghouse has gone wild! Grampa Bender is temporarily caring for a wounded Canada goose, a cranky old muskrat, and two starving fox kits. Luckily Ernest, Grampa’s capable mini-pig, is there to encourage the other animals to be good hosts. But the visiting creatures are wild, not tame, and they all just want to go home! 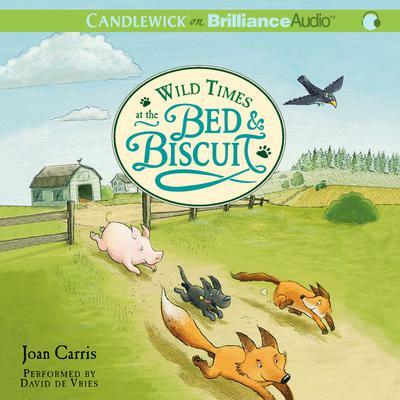 From the author of Welcome to the Bed & Biscuit comes another raucous story of life in an engaging and quirky animal family.